Mr. Raju Pakalapati (Arun) is young, dynamic and has over 4 years of industry experience in Hospitality as well as Sales & Marketing. At the age of 16, Raju moved across India to understand the growing hospitality industry. Being passionate about service, he was then motivated to pursue a Bachelors Degree in Hotel Management, from International Institute of Hotel Management, India. He received a letter of appreciation for being the best trainee in Banquet Sales Department at Taj Hotel and Palaces, Lucknow. During his three year Degree, he received notable appreciations from Industry leaders and Academic heads (Achieving top student honours for each year consecutively – 2008 to 2011). 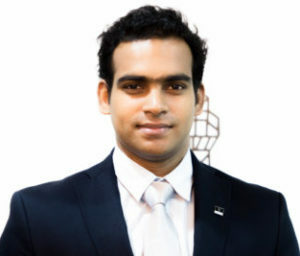 Arun holds a Master’s Degree in International Hotel Management from Institut Vatel, France. Interestingly, he started his academic career with SDH Institute, Singapore as an MBA student and received the “GOLD academic excellence award” – for 2015 Master’s Degree programme. His first international industry exposure was through The Fullerton Hotel, Singapore where he served a 6 month internship, receiving a personal letter of appreciation from the Director of F&B. He was one among the first to receive ‘Certificate in Hotel Industry Analysts (CHIA) jointly offered by American Hotel & Lodging Educational Institute (AHLEI) and STR in Singapore. He recently graduated with a certificate in Training and Assessment (Cert IV TAE) from Australia. Presently, he is serving as an Associate Lecturer at SDH Institute, Singapore where he is also responsible for coordinating industrial attachment of students and as student council advisor.